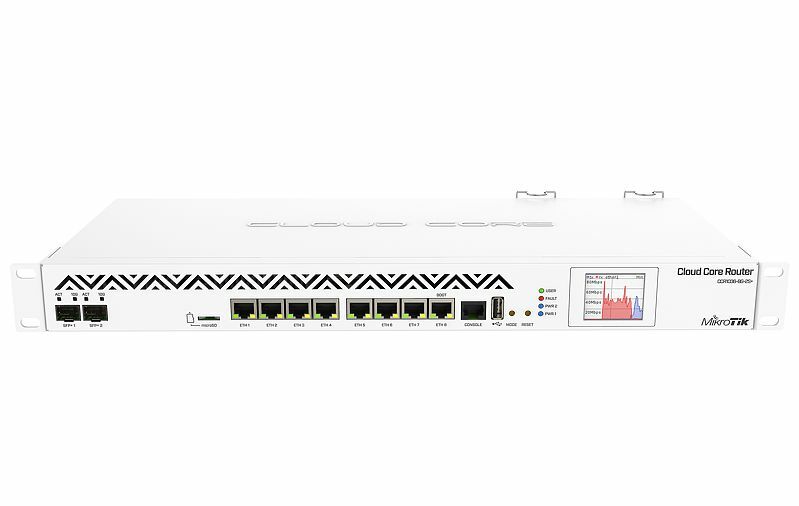 Home :: Mikrotik Rack Mount Routers :: Mikrotik RouterBoard CCR1036-8G-2S+ Extreme Performance Cloud Core Router with 8-10/100/1000 ethernet ports, 2 SFP+ ports and RouterOS Level 6 license - New! CCR1036-8G-2S+ is an industrial grade router with cutting edge 36 core CPU! Unprecedented power and unbeatable performance - this is our new flagship device, the Cloud Core Router (CCR1036). If you need many millions of packets per second - Cloud Core Router with 36 cores is your best choice. 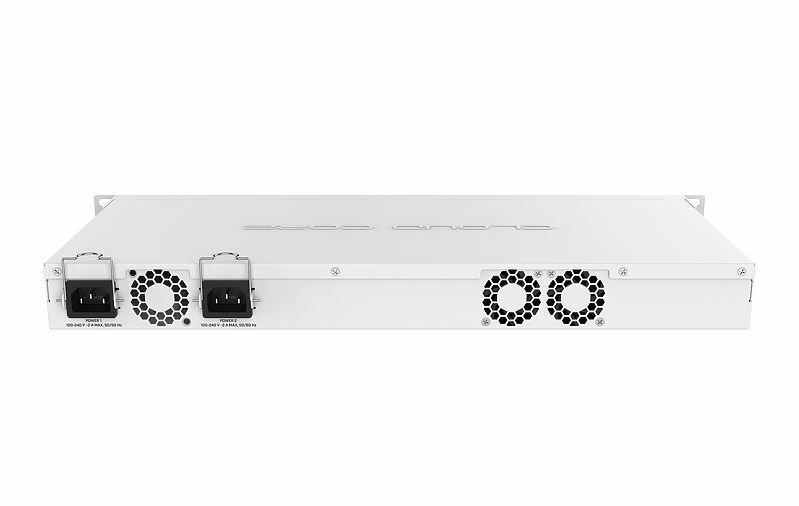 This new version comes in a 1U rackmount case, has two SFP+ ports, eight Gigabit ethernet ports, a serial console cable, a USB port and dual power supplies. NOTE: For the CCR1036-8G-2S+EM version (Extra Memory), select the 8GB memory option below. NOTE: The enhanced small form-factor pluggable (SFP+) is an enhanced version of the SFP that supports data rates up to 10 Gbit/s. You cannot use the slower small form-factor pluggable (SFP) transceivers in Mikrotik's SFP+ port. It is designed to only support SFP+ transceivers.